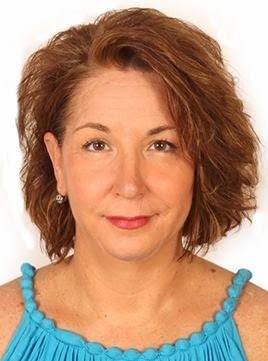 Puerto Morelos Blog: Kim Tempel joins the MRP Team! I have the pleasure of introducing the newest member of the Mayan Riviera Properties Team, Kim Tempel! She started with us just a few weeks ago and is quickly learning the ropes to begin assisting buyers and homeowners this winter! I'm so excited to be joining the team at Mayan Riviera Properties! It was love at first sight for me when I happened upon Puerto Morelos in 1999. For reasons I still can't explain, Puerto Morelos immediately felt like home to me, and I decided then and there that I had to find a way to live here. After a few false starts and thirteen years later, it's finally happened, I'm a full-time resident! Originally from Colorado -- Go Broncos (?!) -- before moving to Puerto Morelos in early 2012, I lived and practiced law in the Denver area, both in private practice and as an Assistant Attorney General for the State of Colorado. I have one son, Austin, who is awesome and who is also a sophomore at Colorado State University. While I miss lots of things about my life in Colorado, I don't miss practicing law (at all...) or scraping ice off my windshield or sitting through traffic jams on I-25. My commute now involves walking a block and a half to my office on the shores of the Caribbean and my job is a lot more positive! I'm thrilled to be starting a new career in real estate and am so grateful to have the opportunity to do it with the professionals at MRP. It's exciting to learn new things and to have the opportunity to help other people who fall in love with this area to find ways to make a home here also. I look forward to meeting lots of new friends and helping them become neighbours!